Women and Culture is one of the three tracks of the First-Year Writing program, which is required for all first-year students. When Jet Harper, BC ’19, who identifies as nonbinary, took a Women and Culture class three years ago, there was not a single nonbinary or trans author on the syllabus, nor were these perspectives addressed or included in any class discussions. As a result, they often found themselves pushing back against the biological definition of a woman used by their professor throughout the class. “I think it’s important to bring in these perspectives not because we need to be representing everyone all the time, but because we need to be questioning what gender is, which is not only useful for trans and nonbinary people but also for cis women who are also wrapped up in patriarchy and the gender binary,” Harper said. As Barnard updated its admissions policy in 2015 to include trans women, making it the last of the Seven Sisters colleges to do so, students have questioned why trans and nonbinary perspectives and texts are not incorporated in the classroom, especially in a course that is foundational to the Barnard academic experience. Women and Culture is one of the three tracks of the First-Year Writing program, alongside the Americas and Legacy of the Mediterranean. Because it comprises one-half of the First Year Foundations program and is required for all first-years, roughly a third of Barnard students will take Women and Culture. The course’s core focus is developing critical reading and analytical writing skills. While Women and Culture’s mission, according to its website, is to challenge “traditional dichotomies” and “interrogate the categories of both ‘women’ and ‘culture,’” students who have taken Women and Culture, both now and in past years, argue that by not addressing trans or nonbinary perspectives in class, the curriculum reinforces the biological definition of a woman. Currently, across the five different professors teaching Women and Culture this semester, who collectively feature over forty different texts on their syllabi, only one text is by a trans author, and it is only taught by one professor. Although some students and faculty have pushed for more inclusive curriculum regarding gender identity, professors have argued that Women and Culture should not be mistaken as a women and gender studies course. 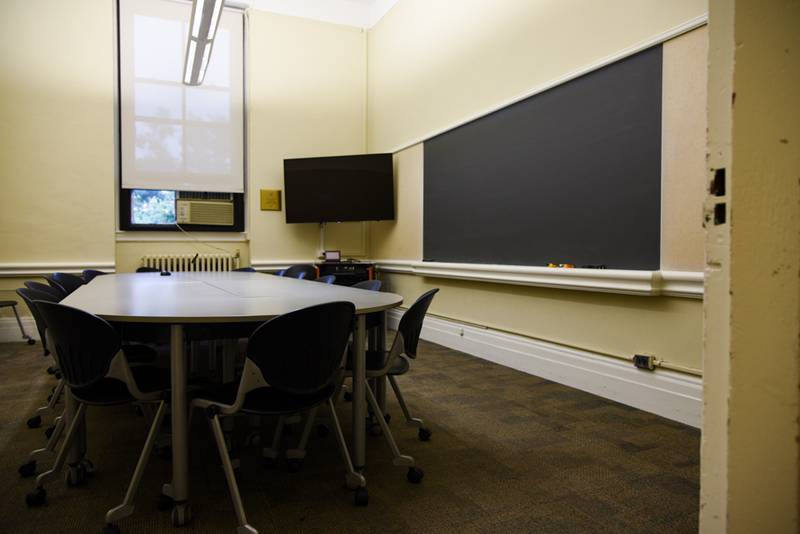 Wendy Schor-Haim, senior lecturer and the director of the First-Year Writing program, said that the primary focus of the class is and should be writing. “Fundamentally, this is a writing class and the point of the class is to give [students] fundamental and critical writing skills that they can transfer to other classes. No text makes it onto the syllabus that isn’t really, really useful for developing these type of skills,” Schor-Haim said. However, students have expressed that it is the responsibility of the college to include trans and nonbinary texts on the syllabus, and that facilitating conversations on these identities is critical in a class that discusses issues of women in relation to various cultures. This semester, professors have been granted new freedoms within the program, as the syllabi are no longer standardized for all sections of a particular track, a change from previous years where the syllabi for each of the three tracks shared the same core group of texts. “When I started, I taught the texts that were prescribed, that everyone was teaching, and now we are undergoing this transition. One part of that transition is writing, and another is [that] we as instructors have been given a lot of freedom to be flexible with what we teach and how we teach it to shape the course to be what we want it to be and to be as effective as it can and to be as inclusive as it can,” First-Year Writing lecturer Vrinda Condillac said. Given this liberty to choose their own texts, professors have focused on paring down their syllabi. The responsibility to remain true to the writing focus of the class has meant that professors have found it difficult to include everything they would like to on their syllabi. Lie-Spahn, the sole professor with a trans author on her syllabus, argues that the remainder of the texts on her syllabus, and the syllabi of her fellow faculty, can also be interpreted through a nonbinary or trans lens, like the stories of Sor Juana Ines de la Cruz and Hermaphroditus, in addition to the text she included by trans author Susan Stryker. Condillac said that while inclusivity and diversity is of the utmost importance to her, her goal is to pursue inclusivity in the texts her class reads while also being mindful to not tokenize the identities of marginalized communities. “In some cases it’s including a trans author, in others it is a text that deals with those issues. I think both do the work. It is very hard to be able to represent all categories, but I am trying to make sure that my conversation of the body can talk about all categories,” Condillac said. Harper agreed with this sentiment, saying that adding such resources carelessly can be tokenizing and that they would rather have trans and nonbinary perspectives brought up in class discussion than have a trans or nonbinary author on the syllabus merely for the sake of inclusion, unless that text is directly relevant to the course. “You need to do a mix of having trans and nonbinary authors and also reading gender nonconformity in the texts that you already have, because we are taking a class like Women and Culture, where we are implicitly constructing the category of women as it relates to culture,” Harper said. However, in previous years, students said that although there might have been space to reflect on these texts with a nonbinary or trans perspective, neither of these interpretations of the texts were offered by the professors. Students interviewed by Spectator who previously took Women and Culture also said that texts by trans or nonbinary authors were not on their syllabi, even though professors have been able to add supplementary texts and resources to their syllabi in years past. “My professor would acknowledge once in awhile that there were women outside of the binary and there were queer women, but that was the extent of it. It was just a mention, and that isn’t enough. It needs to be in the curriculum and not just a quick mention that these women exist too,” Jouin said. A sophomore nonbinary student added that they have consistently felt excluded in discussions in all their classes at Barnard in which gender has been a focus, including their First-Year Writing class. Schor-Haim acknowledged that she and the program’s faculty were aware of these student concerns and that diversity and inclusivity in the curriculum is always on their radar as they continue to develop and shape the program.